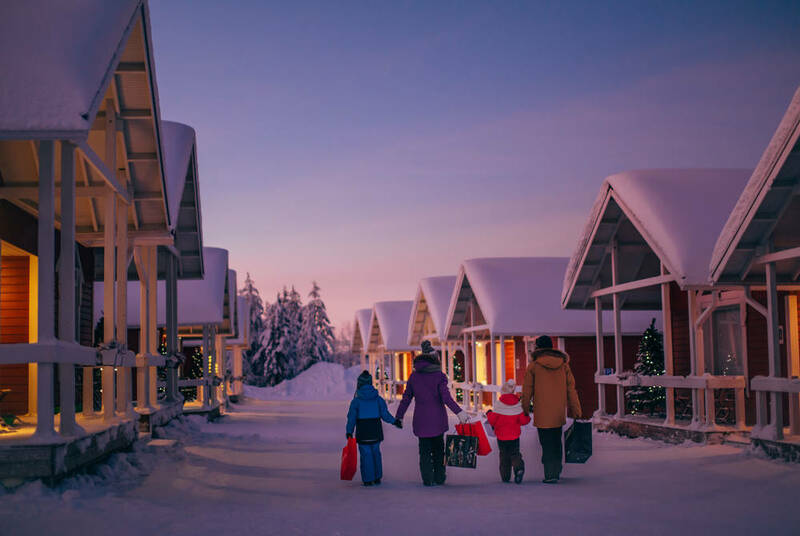 This festive break in Finnish Lapland's snowy wilderness makes for a magical family Christmas that you and your children will never forget. 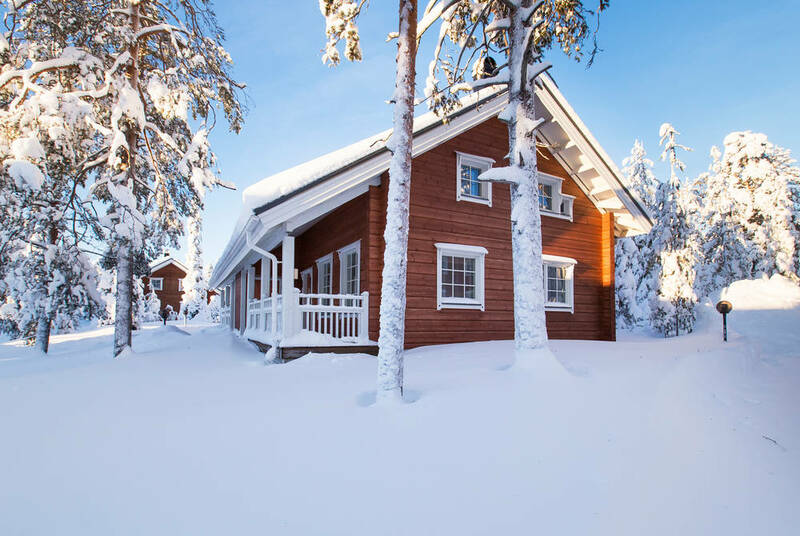 You'll stay in the cosiest of log cabins featuring your own personal sauna, enjoying reindeer rides and husky safaris, and, naturally, meet Father Christmas himself, who'll visit you in your chalet on Christmas Eve with a present for each child before his round-the-world adventure begins. 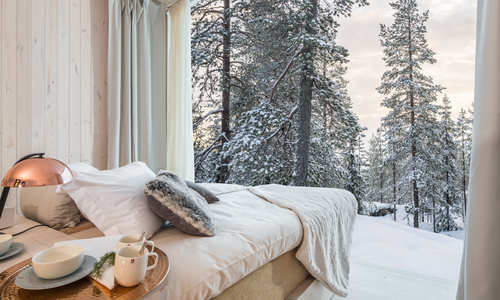 You'll also have plenty of time to relax by your roaring fire, go tobogganing in the Finnish wilds, and even – luck depending – see the Northern Lights, all alongside included breakfasts and traditional Lappish dinners served in a delightfully atmospheric candle-lit restaurant. After flying from the UK to Rovaniemi, transfer with a guide to pick up your thermal clothing sets for the days ahead. 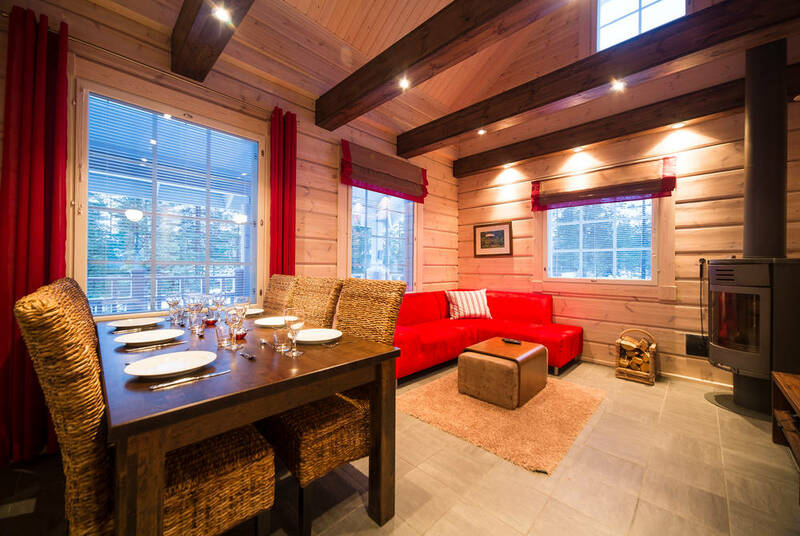 Enjoy lunch in a traditional Lappish restaurant, sampling classics such as reindeer, lingonberries and fresh salmon before heading to your hotel, the Ounasvaaran Lakituvat. 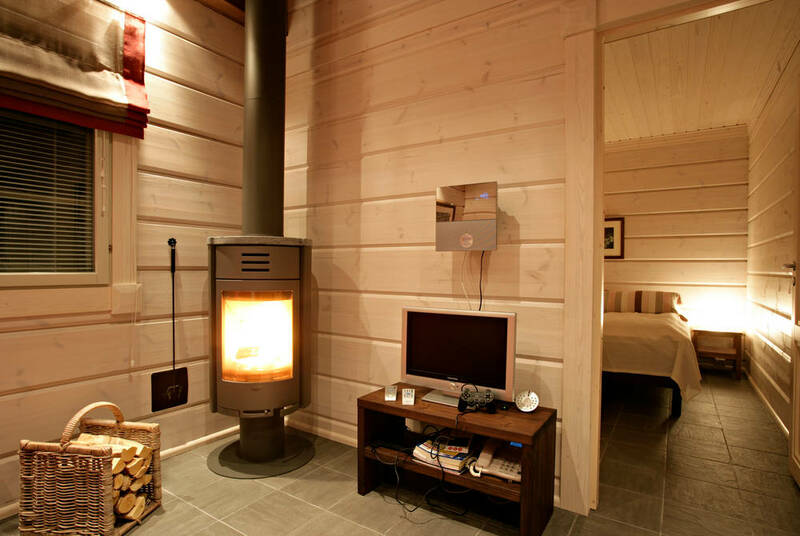 Comprised of individual log-cabin style chalets, this resort features exposed beams, pine walls and fireplaces that offset modern, sleek kitchens, and of course, in true Scandi style, your own Finnish sauna. Perhaps indulge in the latter before heading for your included dinner at the superb Royal Reindeer restaurant with its dark-wood furnishings, red fabrics and roaring fires. Then, as you head to bed, cast your eyes to the sky for the chance to spot the magical Northern Lights. Enjoy a wonderful family day packed with activities. 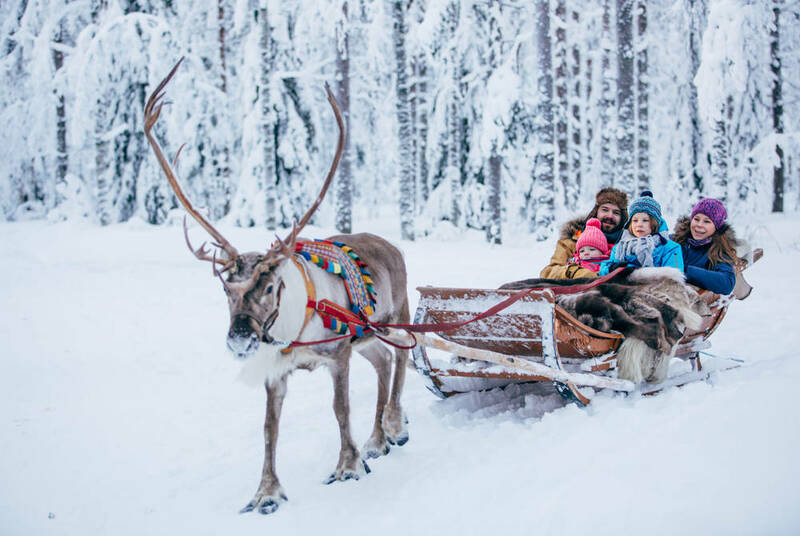 It all begins with a reindeer sled that takes you through the Lappish wilds to a husky farm where you’ll enjoy a family husky ride through the snow and indulge in a delicious lunch. A thrilling tobogganing ride through the forest is next before you head back to your chalet for a few relaxing hours by the fire – and perhaps a sauna – before the big event tonight. 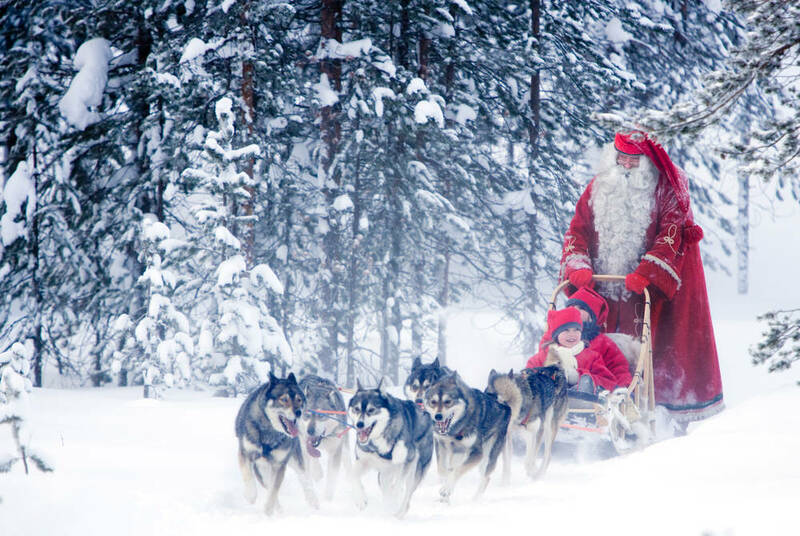 Christmas Eve is the main day of celebration for Finns and you'll certainly get in the spirit when Santa arrives to pay you a visit, bearing gifts for the kids, before an included three-course Christmas dinner back at at the Royal Reindeer sets the scene for a magical festive evening. 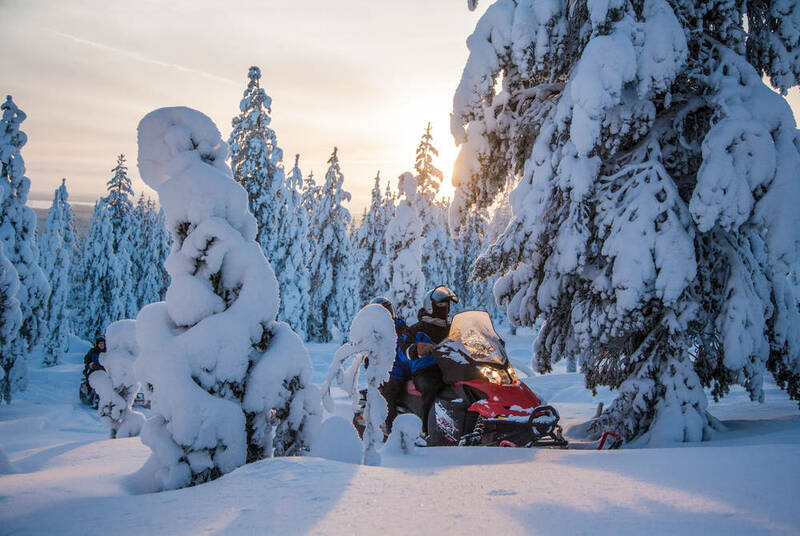 Your Christmas Day with a difference begins with magical snowmobiling experience. You'll spend two hours mastering the art of driving your own machine – cosy in your warm winter clothing, of course – heading out along snowy forest trails and stopping for breaks to enjoy hot drinks, snacks and photo opportunities. The day ends with another delicious dinner, where you'll sample traditional Lappish fare, with everything from reindeer to fresh fish on the menu. 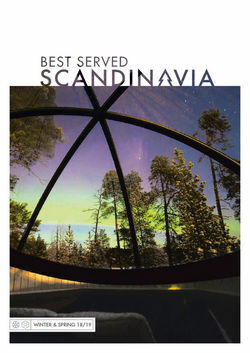 And, you might just catch a glimpse of the aurora on your way home. Today you've got a day free to spend at your leisure. Perhaps head out with Santa's reindeer again on a sled through the cosy forests – an activity the children are sure to love. 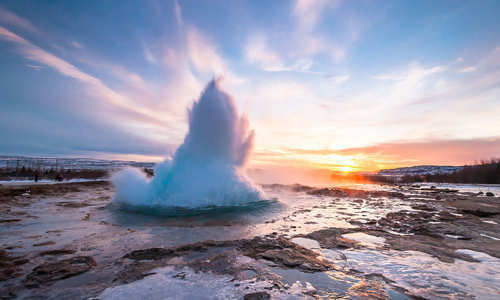 There's also the chance to visit the world's northernmost zoo where you'll see polar bears, wolves, lynx, eagles and more dotting the Arctic landscape. 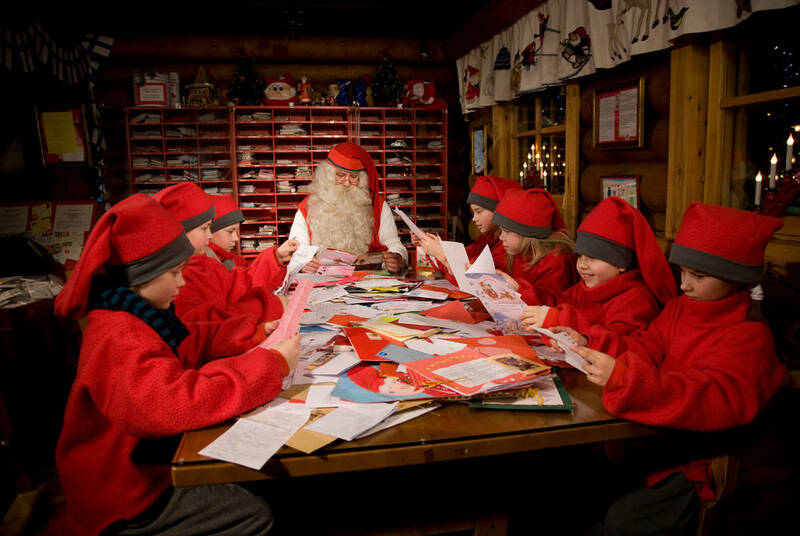 If you'd not had quite enough of Santa, the magical Santa's Village, complete with elves, is just moments away and a true winter wonderland – take part in Elf School, explore Santa's post office, meet Rudolph and more. 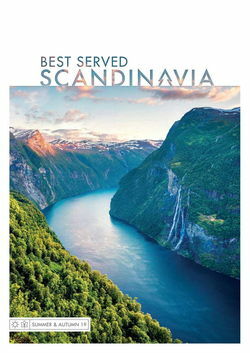 After a final breakfast, depart Rovaniemi and transfer to the airport for your flight back to the UK.